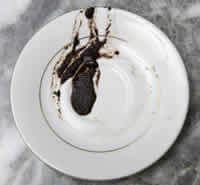 Traditionally, coffee cup reading is done with Turkish coffee. 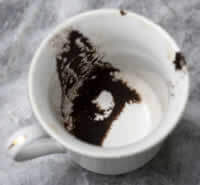 However, any coffee brewing method where the coffee grounds settle at the bottom of the cup can be used. Most of the coffee in the cup is consumed, and the sediments are left to settle. Once the coffee is drunk, the cup should be covered with the saucer and turned upside down until the cup is cool. The saucer may also be incorporated into the reading. How does Coffee Cup Reading work? How do I send pictures of my Coffee Cup? If you own a smart phone or tablet, we recommend using our app!